The principal architect of New York Gov. 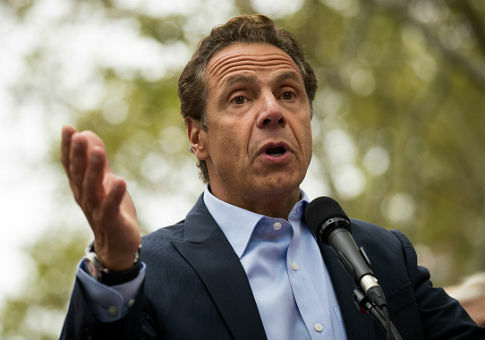 Andrew Cuomo's (D.) signature economic development initiative was convicted on Thursday for a bid-rigging scheme responsible for directing millions of dollars in state contracts to companies that he favored in Buffalo and Syracuse. After a four-week long federal trial in Manhattan, Dr. Alain Kaloyeros, 62, was found guilty of wire fraud and conspiracy, prompting Cuomo to receive intense scrutiny for his plan to revitalize upstate and western New York, according to the New York Times. Dr. Kaloyeros, the former president of SUNY Polytechnic Institute, had been credited with helping to create a high-tech industry in the capital region, which led Mr. Cuomo, a Democrat, to place him in charge of the Buffalo Billion project. The governor had praised Dr. Kaloyeros as a genius and "New York’s secret weapon." But at the trial, the prosecution presented evidence that Dr. Kaloyeros and Todd R. Howe, a former lobbyist with ties to the Cuomo administration, conspired to defraud Fort Schuyler Management Corporation, a nonprofit real estate arm of SUNY Polytechnic, by steering lucrative contracts to LPCiminelli, a Buffalo construction management firm, and COR Development, a Syracuse-area firm. As part of the scheme, Dr. Kaloyeros and Mr. Howe tailored requests for proposals, or R.F.P.s, to fit the firms’ specific qualifications and ensure that they be chosen by Fort Schuyler for the projects. LPCiminelli, for example, received a contract to build what became a $750 million solar-panel plant along the Buffalo River, while COR received contracts worth more than $100 million for other projects. Both firms were clients of Mr. Howe’s. "When Kaloyeros was entrusted by the State of New York to spend upward of a billion dollars of taxpayer money to prop up the economy of upstate New York, he turned around and shared the key to the vault with his friend Todd Howe and his clients," Matthew Podolsky, a prosecutor said in a closing argument on Monday. One of Dr. Kaloyeros' lawyers, Michael C. Miller, denied in his summation that Kaloyeros had rigged the procurement process. "Governor Cuomo knew what he was doing when he picked Alain Kaloyeros to grab the reins of the Buffalo Billion project and make it a reality," Miller told the jury. "There was no bribe," he added. "There were no trips. There were no fancy suits. There was no sweetheart deal. There was nothing. Alain Kaloyeros, start to finish, was doing his job." Judge Valerie E. Caproni scheduled the sentencing for the men for October. This entry was posted in Politics and tagged Andrew Cuomo, Corruption, New York. Bookmark the permalink.